Last August, Eric Futch sat on the couch and watched the Olympic 400m hurdle final from his house. It was a bittersweet moment as Futch got to watch his role model Kerron Clement win Olympic gold, but he wasn't there in person to compete. And Futch knew he should have been on that starting line. Leading up to the Olympic Trials, Futch won the 400m hurdles at the NCAA Outdoor Championships in a personal best of 48.91. 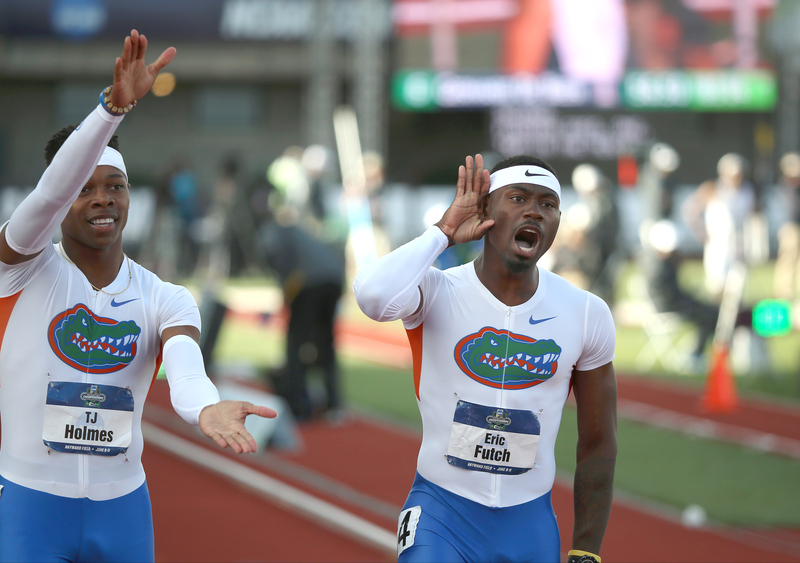 He finished ahead of his Florida teammate T.J. Holmes to become the second pair of teammates since 1983 to take first and second in the 400m hurdles. Less than a month later, the thrill of victory turned to disappointment. Futch competed at the Olympic Trials, where he ultimately finished fifth in the semifinal, 0.01 of a second shy of making the final. On a rainy day in Eugene, Oregon, Futch lost to collegiate rival Byron Robinson of Texas. Robinson went on to place second in the final and make the Olympic team. The loss was gut-wrenching, but watching his rival make the team was even tougher. As Futch admitted, the race was a result of creeping self-doubt that sometimes plagues him in competition. The irony is the fact that everyone around Futch believes in him. His coach at Florida, Mike Holloway, told Futch that he has never seen anyone finish a race quite like him. His teammate Holmes even made a race strategy with the belief that Futch could kick down everyone in the NCAA championship field. "I'm going to take it out and get everyone out of their race model, so make sure you stay close because I know you'll be coming," Futch recalled Holmes telling him hours before they finished 1-2. This faith, combined with his role as a leader, have forced a shift in mindset for Futch. Holloway and his coaches have an open dialogue about preventing self-doubt and find different ways to combat it. Futch calls his coach the moment his mind begins to wander into negativity, and his coaches can sense when Futch needs reassurance or when they need to lighten the mood with a joke. "The first step is admitting it and addressing it. It's my job to be supportive," Holloway said. Everybody has a little fear in them. You just have to shut it up before it gets too loud. 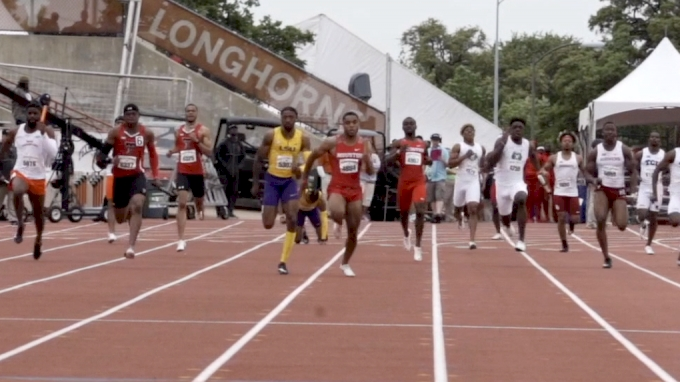 Futch transferred from Houston after the 2013 season, when he earned All-American honors in the 400m hurdles and the 4x100m relay. Now a senior, he has assumed a leadership position on the Florida squad. While this responsibility still feels relatively new--last year's squad contained several key upperclassmen in NCAA champions Arman Hall and Najee Glass--it is now up to Futch to lead by example with a positive outlook not only for himself but also for his team. The change in mindset has already shown payoffs. During the early portion of the NCAA indoor season, Futch pulled up in practice with pain in his hamstring. The injury put him in the pool for several weeks and forced him to miss the first three meets of the season. Holloway even asked if Futch needed to redshirt. Determined to heal, Futch promised his coach he would be ready to run in the 4x400m relay at the Tyson Invitational on Feb. 10. 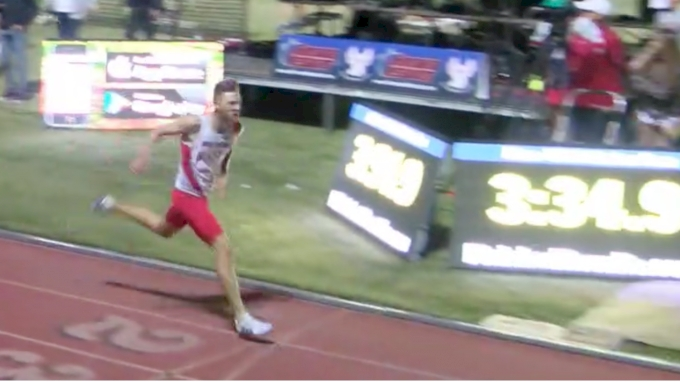 He delivered with a 46.5 split. Holloway recalled a meeting before the SEC Indoor Championships that served as a turning point for Futch. "We talked about us being a better support system for Eric and Eric trusting us and his talents. He's had a tendency to doubt himself on occasion," Holloway said. "After the meeting, he told me that he was going to trust and promised he wouldn't be negative." In the slower of the two 400m semifinal heats at SECs, Futch kept the thought of injury out of his mind and shocked himself with an indoor personal best 46.16. In the same meet, he also contributed to the 4x400m that shattered the school record and ran the third-fastest time in collegiate history on any track. 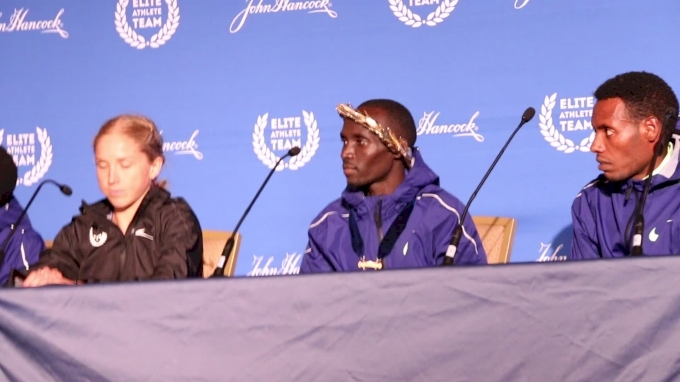 "I just ran with my heart," Futch recalled of his breakthrough race. The race may have been shocking to Futch, but it was no shock to Holloway. His athlete was brave enough to address his fear. "People are afraid to talk about when fear happens," Holloway said. "But if you have an issue like that, you're not going to conquer it unless you talk about it. 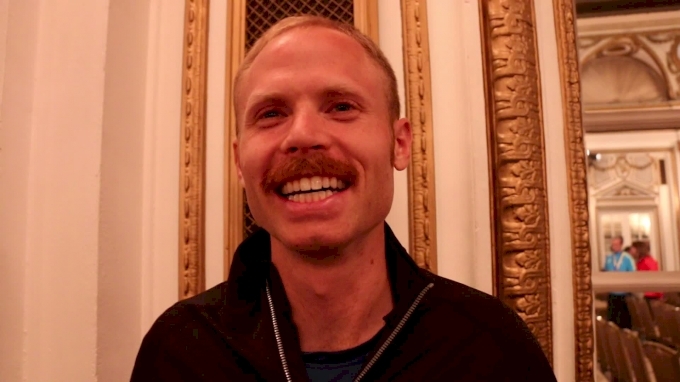 So the first step Eric took was when he admitted that he did have doubt in himself, but once he admitted it, now we can address it and move forward with it." Futch's SEC 400m performance was fast enough to qualify for the NCAA Indoor Championships. It also marked the first time that he qualified to compete in the 400m at the meet. At the championship in College Station, Texas, Futch finished fifth in the final and contributed to the Gators' nail-biter runner-up finish to Texas A&M in the 4x400m. Even with an injury-riddled buildup, Futch succeeded in running a personal best and contributed crucial points for his team. The 400m split is especially telling of Futch's potential in his primary event. As Holloway maintains, Futch must model other elite 400m hurdlers in their 400m progress in order to compete at the highest level. Other elite American hurdlers such as Clement, world champion Bershawn Jackson, Olympic silver medalist Michael Tinsley, and two-time Olympic champion Angelo Taylor have all run under 46.02 in the 400m. Compared to the four, Taylor has run the fastest 400m with a personal best of 44.05. Luckily for Futch, he gets to learn from an Olympic champion on a daily basis. 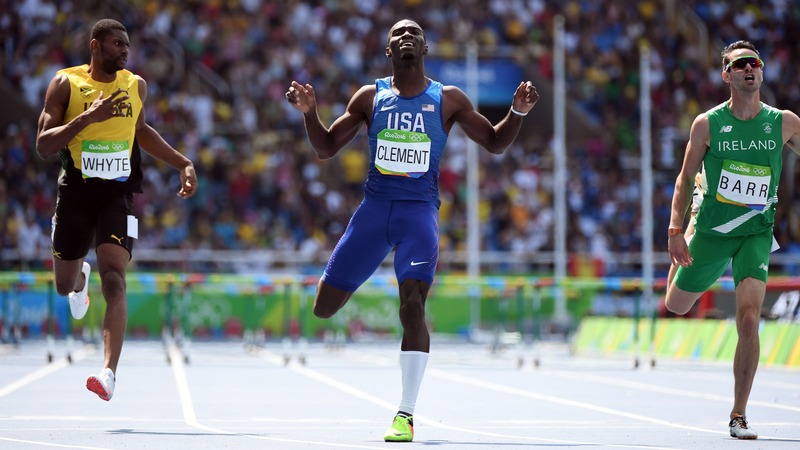 Clement trains under Holloway in Gainesville, FL, and often advises Futch in workouts. 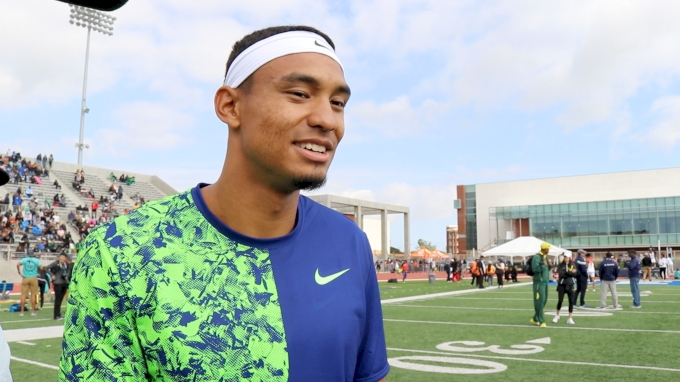 "Kerron starts at 11:30 and stays until 4:00 just to watch me and T.J. hurdle," Futch said. "He's an excellent role model. Everything he says, me and T.J. take it in, because he's been to the big meets. He's won the big medals, and he has records, so I just try to listen and take everything in that I can." Last weekend, Futch opened up in the 400m hurdles with an NCAA-leading time of 49.57 at the Florida Relays. 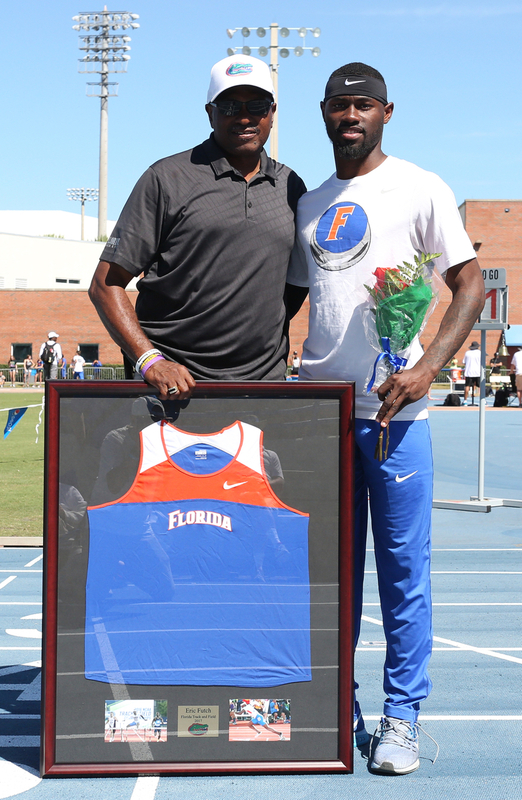 He also contributed to Florida's 4x100m and 4x400m relays that notched the first- and second-fastest times in the country. It's a promising start to the season, with the key component being Futch's trust in his ability. "I'm just going to take everyday like it's my last...I'm going to let my training be the outcome of everything, keep my mouth shut, and let my running take control, because I believe that I'm in the best shape of my life right now," Futch said. "I think that right now, I can take on anybody."